Russian President Vladimir Putin misunderstands Washington's position on Ukraine, U.S. Secretary of State John Kerry said on Monday after a meeting with Russian Foreign Minister Sergei Lavrov, according to Russian news agency Rosbalt. "I think [Russian] President [Vladimir] Putin misinterprets much of what the United States is doing or trying to do. 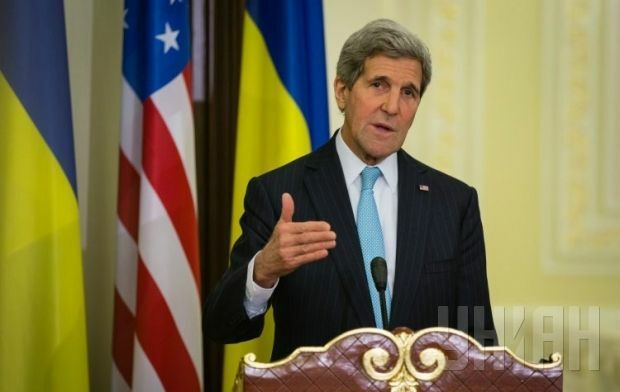 We are not involved in ‘numerous color revolutions,’" as he says," Kerry said. "In the case of Ukraine, such assumptions are also wrong," he said. "The United States support international law with respect to the sovereignty and integrity of other people," Kerry said. As reported earlier, Kerry said that the United States hoped that the Minsk agreements on Ukraine would be fully implemented in the coming hours and days, including the establishment of a real ceasefire and access for OSCE observers. "If it does not happen, the Russian Federation will have inevitable consequences that will affect its economy," Kerry said.